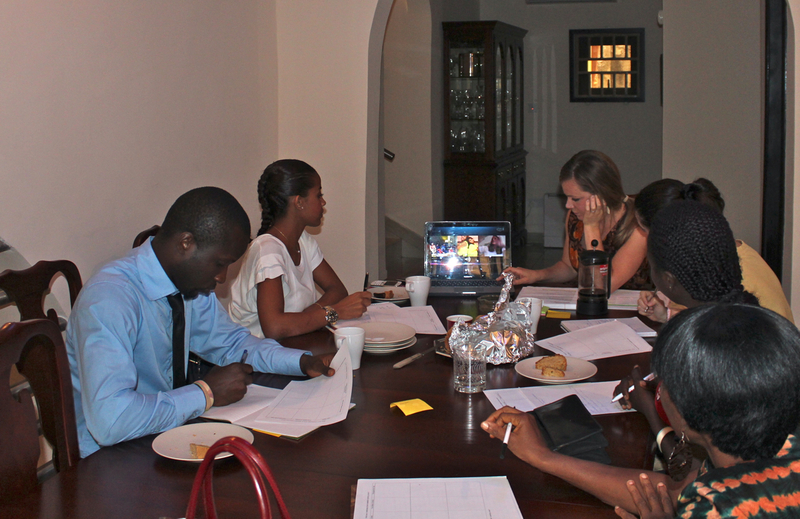 We are excited to announce that we held our very first International Collaborative yesterday! Educators from the United States, Sierra Leone, and Lebanon gathered in their respective locations and joined together virtually through video chat to collaboratively plan for the first week of school. We worked in groups to come up with ideas for establishing joyful and efficient routines, laying the groundwork for trust and collaboration in the classroom, and creating a culture where students to persevere through rigorous intellectual work and take risks. “Thank you!” to all those who participated — we are continually inspired by the thoughtful work you do and we benefited greatly from all your ideas! For those who were unable to attend, we’ve attached the materials here for your use. There are three sets of short readings and a graphic organizer to help you record ideas as they come. We encourage you to find a buddy and take a few hours to collaborate and plan together — we found it energizing and helpful!